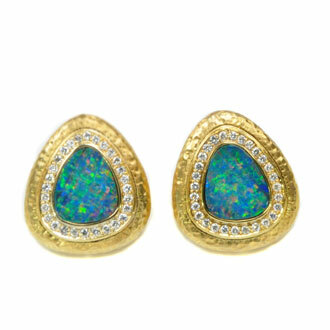 These hand made 14kt yellow gold earrings have gorgeous Opal doublets (4.8ct total weight) and 56 round brilliant Diamonds (.61ct total weight). 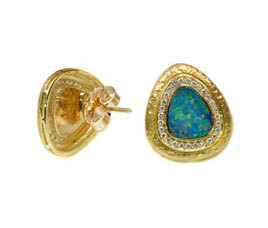 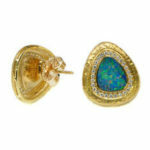 The Opals are bezel mounted and surrounded first by a frame of pavé mounted Diamonds and then by a yellow gold border. These earrings are elegant and have a wonderful hammered finish on the gold. 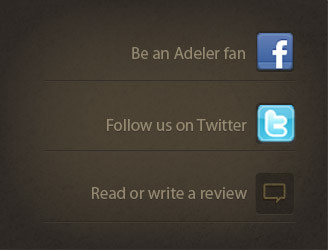 These are a custom design by Jorge Adeler.